What can I send to Austria? What items are restricted? Austria is a mecca for outdoor activities such as skiing, cycling and hiking, with many people taking their own equipment. This can become a problem with excess baggage fees and airport transfers. Send My Bag can save you money and make your journey even easier by collecting your luggage and equipment from your home and delivering it to your destination so that you can start your holiday straight away. Our low prices, coupled with a fast and secure delivery system, means that you can travel light - especially helpful if you have multiple transfers during your journey. Our carrier service is also great for students that are relocating for study reasons, whether for their entire degree course or as part of their third year abroad. Being able to ship their possessions to Austria makes it a lot easier for students to transition to a new way of life abroad. You could choose to send your luggage and boxes to Austria with Send My Bag. This is an excellent solution if you are going on holiday to Austria and you need to bring lots of warm clothing or sporting equipment. It’s also a great option for students who need to bring enough clothes and other everyday items to set up home in Austria for a term, or longer. Sending your luggage to Austria with Send My Bag means you can bring lots of your favourite things with you to make you feel at home. With your luggage taken care of, you can focus on discovering your new surroundings. To learn more about sending luggage to Austria, visit our ‘How it works’ page, or our ‘FAQs’. While more famous for its ski resorts, Austria also has many golf courses – around 140, in fact. The best include Fontana, Adamstal and Schloss Schönborn. If you want to try out some of these courses, you can do so using your own clubs by sending them to Austria with Send My Bag. This will allow you to travel without being weighed down by heavy clubs. You can also avoid oversized baggage fees from your airline by sending your golf clubs. Read more about how to send golf clubs with Send My Bag, including how best to package your golf clubs. Austria has the perfect scenery for enjoyable bikes ride. You can either opt for mountain biking in the hills or more leisurely bike rides along the many rivers and lakes. If you want to enjoy a cycling holiday in Austria, you can send your bicycle with Send My Bag. Sending your bike to Austria is much easier than checking it into the hold of your plane. You will avoid oversized baggage fees and won't have to carry the bike to and from the airport. Your bike will need to be taken apart and properly packaged before being sent to Austria. Check out our information on bike shipping to learn more. Austria is a popular ski destination, with well-known resorts including Kitzbühel and St Anton. If you would rather not hire skis when you are there but use your own skis instead, you can send them with Send My Bag. You can send them ahead and have them waiting for you at your accommodation reception, and have them picked up again when you are heading home. To find out more about ski shipping, have a look at our information page. If you are moving to Austria permanently, or for a lengthy work contract, you will have to consider international removals to Austria in order to take your possessions with you. Before you give anything to the movers, however, ensure that you have packed everything up well so that it arrives in one piece. Use suitable packaging for your items and tape everything up well. 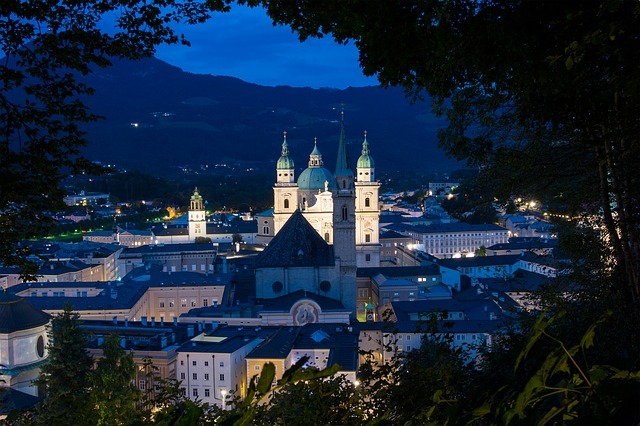 Many students spend their third year abroad in Austria, whether as part of the Erasmus+ scheme or as an English language assistant in an Austrian school. You might even choose to take your whole degree course in Austria, which has a number of good universities to choose from, such as the University of Vienna and the University of Innsbruck. If you are a student looking to set up home in Austria, you will need to bring a lot of possessions with you, such as your course textbooks and many other everyday items, like fiction books, clothes and DVDs, so shipping your possessions is a handy option. Read more about student shipping on our student removals page and find out how to receive your student discount. You can easily send a parcel to Austria with Send My Bag. This is especially useful if you left some items at home when you moved to Austria. You can just ask a friend or family member to put the forgotten items in a box and send them on to you. Or, friends can send you care packages to help remind you of home. Send My Bag can send parcels internationally to Austria for you. Just make sure you choose a sturdy box when sending a parcel to Austria and tape it up well so nothing gets damaged in transit. Find out more about sending a parcel and learn what you can send with Send My Bag and how to package your items. You could try air freight to send large bulky items. This usually takes one to two days, which tends to be faster than sea freight shipping, but typically more expensive. The amount you will have to pay when shipping by air freight is determined by the weight and size of your shipment. You will probably also have to pay for the services of a customs agent to handle customs clearance for you. Another cost is getting your items to and from the airport. The price could, therefore, quickly mount up. If you send internationally by air freight to Austria your items will likely arrive at one of the major airports, such as Vienna, Graz or Innsbrück airports. You could opt for sea freight or container shipping to transport your possessions to Austria. Since sea freight can take a number of weeks, it is a good option if you don’t need to receive your items immediately. Again, sea freight is normally used when shipping large bulky items, such as a cooker or armchair, which are loaded onto cargo ships in containers. This option can be less expensive than air freight, but you will still need to pay for the services of a customs agent and will need to arrange how to get your items to and from the ports. This means the cost could be more than expected. When using container shipping to Austria, your items will arrive at a port in a neighbouring country with coastline, such as the port of Venice in Italy or the port of Koper in Slovenia. This means arranging transportation of your items to your final destination could be quite expensive. I have been moving to different countries a lot these last 2 years and I always use send my bag. Very professional and reliable. I would use it again next time I move. Austrian customs inspect all shipments, which can take up to 10 days, this is outside of the control of Send My Bag and as such time sensitive shipments such as baggage for a holiday should not be sent on this route. Duty relief may only be granted to shipments considered as permanent imports for one year or more such as for relocation or study, were the relevant evidence is also provided. Unlike most other countries Austrian customs do not always consider temporary imports such as those for a holiday or business trip, or the import of goods by returning residents who have been outside of Austria for less than one year, as tax exempt, customs will assess shipments on a case by case basis. If Austrian customs assesses that duty and taxes are due, these will need to be paid by the receiver directly to the customs authority in Austria. Shipments of personal effects require a copy of the owner’s passport and a copy of their flight ticket to be uploaded to their Send My Bag account to demonstrate to customs authorities that they have travelled, or will be travelling to Austria from the country they are shipping from. In addition, customers relocating to Austria may be required to provide proof of their registration in Austria and confirmation of their reason for stay such as a letter from their University if studying, or employer if working. Personal effects are usually assessed as used items that have been in the sender’s possession for 6 months or more. If you are sending Christmas gifts to Austria please check with Austrian customs so you are aware of potential customs duties, follow any advice given and attach all necessary documentation. To show that your shipment is made up of personal effects, you must complete a brief non-generic packing list online, entries to be made in the format: "2 x Training Shoes, 4 x Jeans, 4 x Cotton Shirt", and so on, rather than as "10 x Used Clothing". Customs processes and allowances do vary according to country so we advise all travellers to take 5 minutes to check how their personal circumstances and what they are sending will be assessed under prevailing Austrian customs rules. All health and nutrional supplements. Austria’s cities offer a mixture of history and modern architecture, as well as some great shopping and nightlife, with Vienna, Graz and Salzburg topping most people’s lists. Austria is famous for its ski resorts, which are often cheaper and less busy than similar resorts in Switzerland and France. Many Austrian ski resorts provide a wide range of family activities and offer a more relaxed environment, perfect for families and groups alike. Austria has a continental climate, with temperatures averaging around 25°C, although it often reaches 35°C in the lowlands during summer months. The skiing season lasts from December to late March where temperatures can drop to -10°C, although the Alpine region can suffer from large fluctuations all year round. Experiencing the great outdoors in Austria is a must, given the country's spectacular landscapes. Austrian food is distinctive and usually of the stodgy variety, often consisting of various meats served with dumplings and potatoes. Wiener schnitzel, a bread-crumb covered veal escalope, is popular in the region and is somewhat of a national dish. Bread is also a staple in Austria with a wide range of available, including rye bread and Semmel.